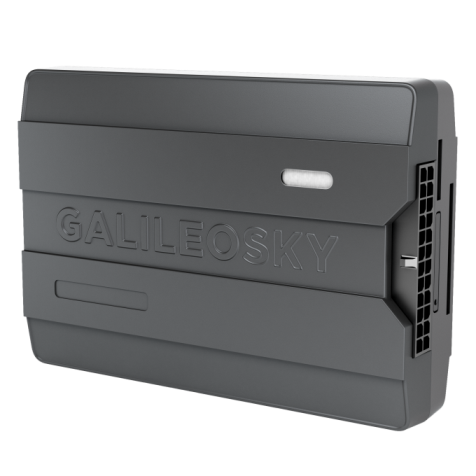 Russian vendor Galileosky, GPS hardware manufacturer, remarkable for its reliable devices on the market, officially announces brand new product range with embedded antennas – Galileosky 7, presented in 5 different versions. The cost of the new solution is equal to average market prices, while in comparison with other manufacturers’ GPS hardware, Galileosky 7 users will be able to get much richer functionality. A more profitable price for consumers became possible due to substitution of the anti-vandal metal body with a high-quality plastic one, hiding antennas into the device and carrying out the components optimization. At the same time, the novelty combines all the best qualities of Galileosky, including reliability and long product service life. The new Galileosky 7 range is released in five versions: from simple to multipurpose. Depending on the objectives, the new solution will meet the requirements for both small low-budget, and large-scale specific projects. Compared to the rest vendor devices Galileosky 7 is the lightest and most compact one, its weight is no more than 150 g. A body is made of robust plastic. Packed tracker takes twice less space and can easily fit in your hand. Developers tried to make the device more cost-effective and affordable, but at the same time to keep its multitasking. There is an opportunity to connect plenty of external peripherals to the device, which makes solving of almost any monitoring tasks possible. Galileosky 7 provides six analog-discrete and frequency-pulse inputs and four transistor outputs to connect additional sensors and devices. New trackers support RS485 and CANBUS protocols, and all versions except Lite – RS232 and 1-wire. Thanks to these parameters one can not only track the fleet in real-time, but control vehicle operation conditions, monitor driving performance and control cargo delivering. By writing algorithms by means of Easy Logic technology, one can customize solution for his own needs and extend the functionality even further. The unique Galileosky technology enables setting reactions to different event, for instance configure beeper activation when speeding the limit of set geo-fence, or camera shooting after the door is opened. The evident benefit of embedded antennas is that device is easy-to-install. If usually, the tracking device makes puzzle over proper antenna mounting, you need to find the best suitable wire layout and think, how to hide the excess wire, inner antennas simplify the process of installation significantly. The lack of wires from the antenna means that the risk of sabotage is reduced to zero - there is no chance that they will be cut off, damaged or unscrewed. Ultimately, the installation of the tracker will take only a few minutes. For convenience, mounting holes are provided in the body of the device. Inside the tracker, there is a slot for two Nano-SIM cards, which can help to save on cellular services when setting up special parameters for data transmission in roaming. In order to increase the reliability and security of GPS hardware, instead of a second SIM card, you can install one SIM chip. A choice of suitable data transmission mode adds more advantages to Galileosky 7. The new range includes versions with WiFi and 3G modules. Despite the plastic housing, new trackers outperform for high protection level and reliability: the calculated service life is 10 years. Galileosky 7 is protected from any impulse voltage surges, and in case of prolonged overvoltage is capable to operate up to 200 V.
Depending on the settings, the built-in battery is able to provide tracker operation for 8 hours without a charge. There is no need to worry about the data safety, even out of GSM coverage, since the device has an internal non-volatile flash memory with 16 MB capacity, and also supports the possibility of installing an SD card up to 32GB. The optimal combination of a favorable price and unlimited possibilities of the new range of trackers will allow to solve almost any task in the field of transport monitoring. Choosing Galileosky, you get not only high-tech devices, but also high-quality services, such as prompt and competent technical support, delivery and logistics, individual customization. To test a new device, contact the sales department or fill in the request form at www.galileosky.com.